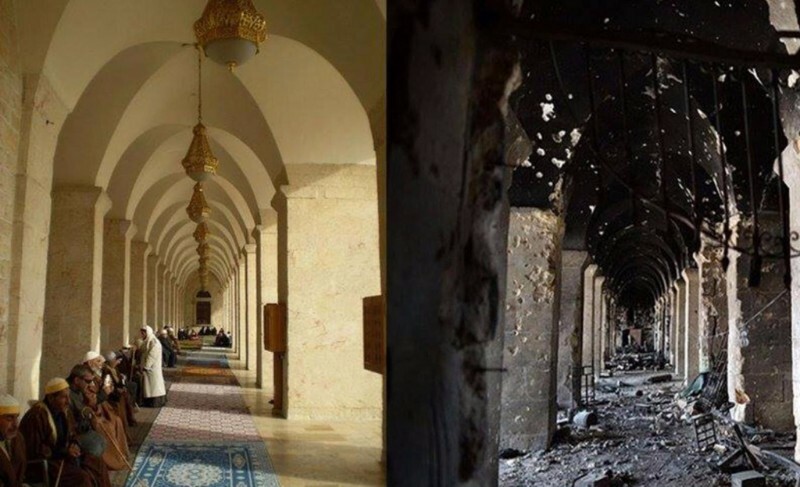 This newsletter provides a summary of the most recent reports on the damage to Syria’s heritage. It should be stressed that much of this data cannot be verified, but it is hoped that it will assist in the documentation of the damage occurring, and help raise awareness. Heritage for Peace have released a statement concerning their stance on data recording, available here. The Umayyad Mosque of Aleppo. Source: The Independent/Carlo Ohanian/Olympia. The Independent goes inside Aleppo to look at the damage to the city. The Association for the Protection of Syrian Archaeology have released a report on the damage to Mosque el-Touba here and here. The documentary “Death of Aleppo” examines the catastrophe unfolding in the city. See an interview with the executive producer Dirar Khattab at the Aleppo Project website, with links to the full film available via YouTube. UNESCO Intergovernmental Committee For Promoting The Return Of Cultural Property To Its Countries Of Origin Or Its Restitution In Case Of Illicit Appropriation has just released: “Treasure hunters” and cultural trafficking – regulation on metal detectors and underground monitoring systems, available here. Gulf Today has provided a further report on work to clear and restore the historic market in Homs here (previously featured in international actions). The DGAM DG, Dr. Maamoun Abdulkarim, addressed the opening of an exhibit on Syrian history at the Aga Khan Museum in Toronto, October 15, here (also featured in the Globe and Mail – see News below). The DGAM took part on the October 6th exhibit in Rome entitled “Rising from Destruction”. The exhibit featured several artefacts from Syria and Iraq, here. The DGAM took part in a workshop organised by the Research Centre for Archaeology and Heritage at the Free University of Brussels here. The US Department of Homeland Security has released its report “Cash to Chaos: Dismantling ISIS’ Financial Infrastructure”, which features the looting of archaeological artefacts, available here. However, the Gates of Nineveh blog comments on this report (and on some of the discredited figures used) here. A new UNESCO report suggests that freeports are providing havens for looted items. Read the Artnet article here, with a link to the report. In an interesting article, the Conversation weighs in on the recent ICC ruling and its implications on October 13 here. The World Economic Forum examines the destruction of cultural heritage here. In the context of Dr. Maamoun Abdulkarim’s presence in Toronto, The Globe and Mail provides a profile on October 16 here. In the context of the recent exhibit in Rome, former Italian Culture Minister tells RT news that ‘terrorists shouldn’t have the last word’ here. The Art Newspaper profiles Polish archaeologist Dr. Michael Gawlikowski and his friendship with Khaled al-Asaad here. Al Mayadeen reports on the destruction of Aleppo (in Arabic) here. Copyright © 2016 Heritage for Peace, All rights reserved.